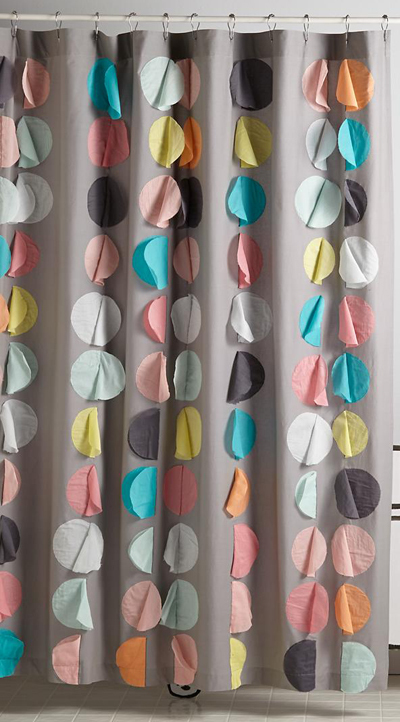 This fun Confetti Party Shower Curtain features circles made of colorful organza, all half-sewn to the curtain, giving it an added 3D effect. $89. Buy here.